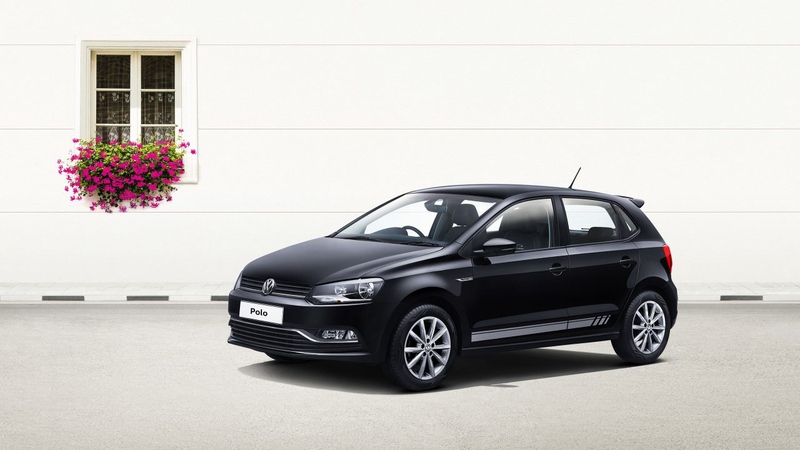 Volkswagen India has launched a new Polo special model, the Polo Black & White Edition. Based on the range-topping Polo Highline Plus model and only available in Deep Black or Candy White paint finishes, the special edition features a range of equipment and unique features. Also available in Vento Polo-based saloon and Ameo Polo-based compact saloon models, too, the Polo, Vento and Ameo Black & White Editions incur no additional cost when compared to the versions on which they are based. Special kit includes grey lower body graphics, 16-inch ‘Portago’ alloy wheels, gloss black rear roof spoiler (Polo), gloss black rear boot spoiler (Vento and Ameo), a black-painted roof, black wing mirror cappings, a ‘Black & White’ wing badge, as well as ‘Black & White’ leatherette seat covers. The app-based Volkswagen Connect system is also standard. Steffen Knapp, Director, Volkswagen Passenger Cars said: ‘We constantly enhance our product offerings in line with evolving consumer aspirations. The Polo and Vento have been strong contenders within their segments. Adding a dash of style, these enhanced feature models make an attractive value proposition for our discerning customers’. For the Indian market, the Polo is currently offered with 74bhp 1.0 MPI petrol and 88bhp 1.5 TDI engines. The Vento offers more choice with 103bhp 1.2 TSI and 103bhp 1.6 MPI petrol engines, in addition to a 107bhp 1.2 TDI unit. The Ameo meanwhile comes with the same 74bhp 1.0 MPI petrol engine as the Polo and a more powerful 107bhp 1.5 TDI unit. From 1 January 2019, all Volkswagen India cars are also offered with a four-year/1 lakh standard warranty, four-year free roadside assistance and also a scheme which offers three free services in one year, or up to 15,000 km. The Volkswagen India Polo range currently starts at RS 5.75 lakh, with the Vento beginning at Rs 8.68 lakh. The smaller Ameo range is priced from 5.87 lakh. For more information on the Polo, Vento and Ameo Black & White Editions and the rest of the ranges, visit the Volkswagen India website.